Added by Marc Russinoff on August 15, 2018. 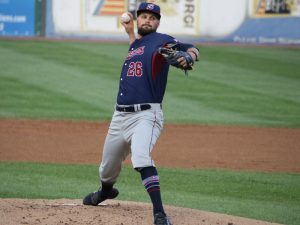 ​Sugar Land, Texas- The Somerset Patriots (21-15, 56-43) rode an impressive Vince Molesky performance to a 2-0 win over the the Sugar Land Skeeters (24-11, 65-33) Wednesday night at Constellation Field. Both teams were held off the scoreboard until the Patriots broke through with a two-out rally in the top of the fifth. Back-to-back two-out RBI singles from Mike Fransoso and Alfredo Rodriguez put Somerset in front 2-0. That was all the offense Somerset needed with Vince Molesky (4-1) on the mound. The first-year Patriot righty worked around danger a couple of times to toss eight scoreless innings. Molesky yielded eight hits and just one walk with five strikeouts on a season-high 102 pitches. 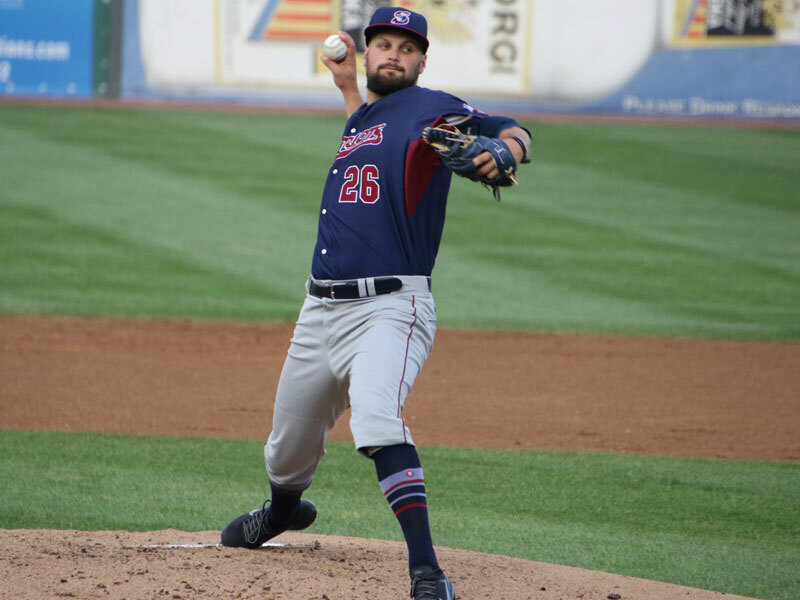 Molesky’s eight shutout innings now gives him an Atlantic League-best 2.46 ERA on the year. Ryan Kelly (17) allowed a pair of bases runners in the bottom of the ninth inning but held the Skeeters off the board to earn the save. Conner Wade (6-4) surrendered two runs on six hits over six innings to take the loss. The Patriots and Skeeters conclude their seven-game series Wednesday night. First pitch at Constellation Field is set for 7:05 p.m. CST (8:05 p.m. EST).